Samsung’s upcoming Galaxy C series is a real deal. 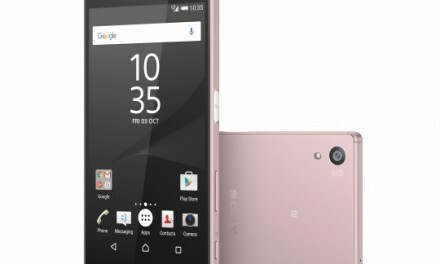 Earlier the smartphone with model number SM-C5000 appeared in import listing in India. And now the phone has made its entry into benchmark website, 4GB RAM in tow. 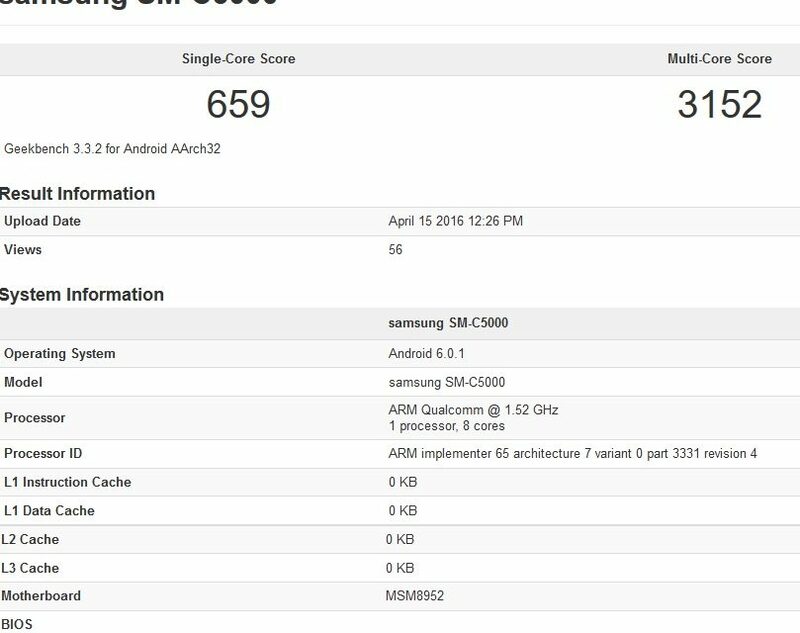 As per the benchmark tests on Geekbench, Samsung Galaxy C5 SM-C5000 comes with 4GB RAM. 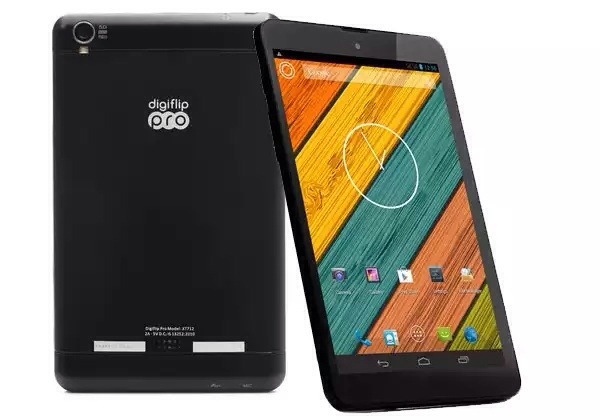 It will be powered by a Octa Core Qualcomm Snapdragon 617 processor with Adreno 405 GPU. 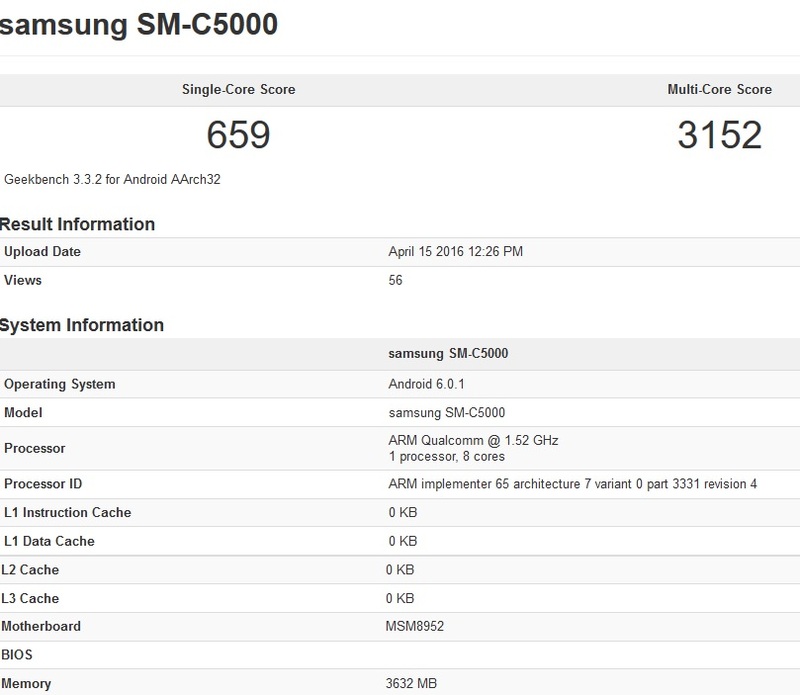 Samsung Galaxy C5 SM-C5000 will runs on latest Android 6 Marshmallow out of the box. It will come with 5.2 inch Full HD screen. There are no details about camera. 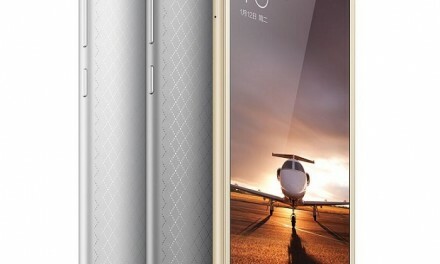 Samsung Galaxy C5 SM-C5000 could be first smartphone in Samsung Galaxy C series. We have no details about its body, whether it will have metal or plastic build is unclear. Samsung might also launch other smartphone in C series like Galaxy C3, Samsung C5, Samsung Galaxy C7 and others. 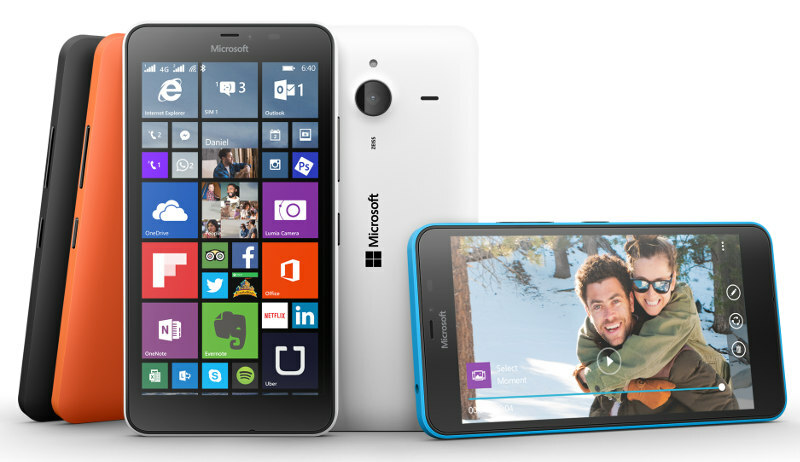 The smartphone might be officially launched soon.